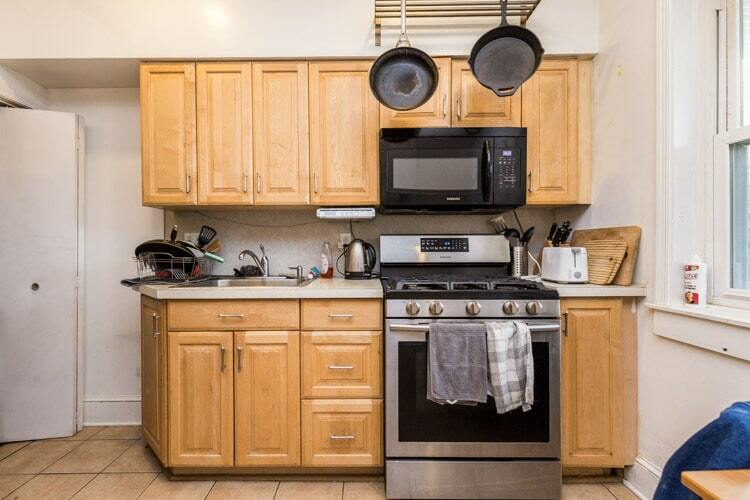 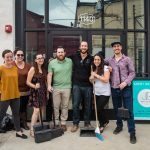 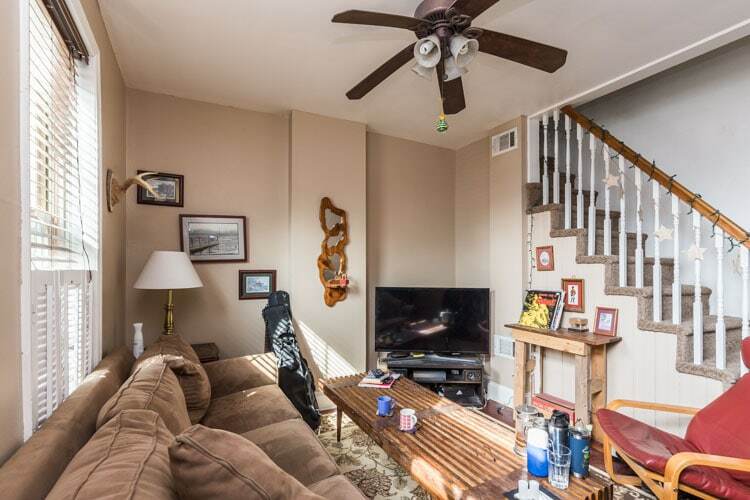 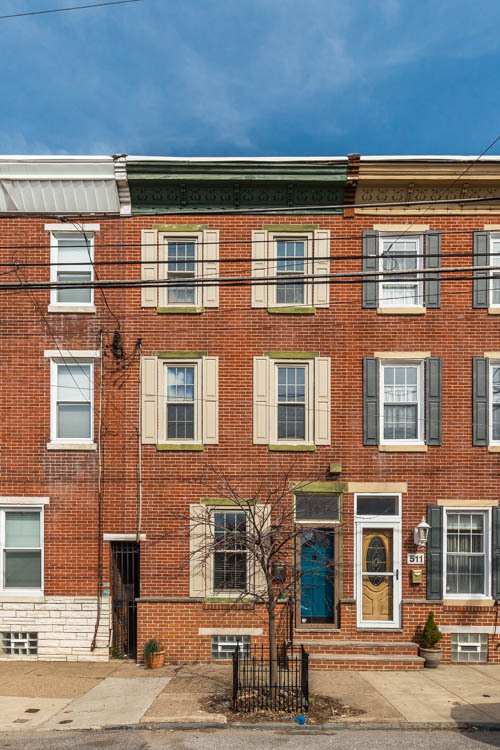 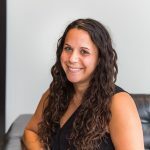 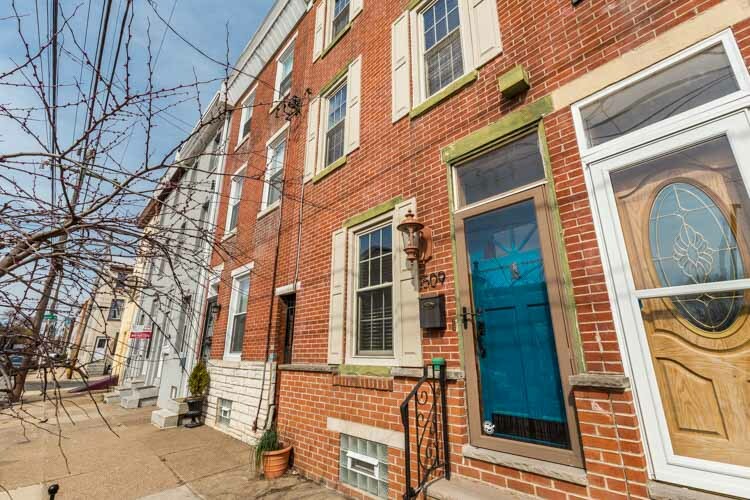 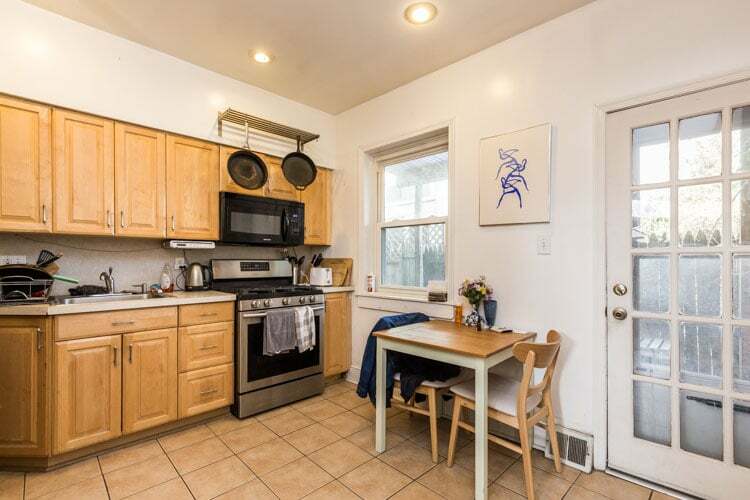 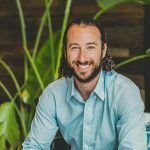 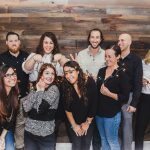 509 E. Wildey St. is a 3-story rowhome located on a lovely Fishtown block close to Milkcrate Cafe, Kraftwork and Lloyd, walking distance to Penn Treaty Park, with easy access to public transportation and 95. 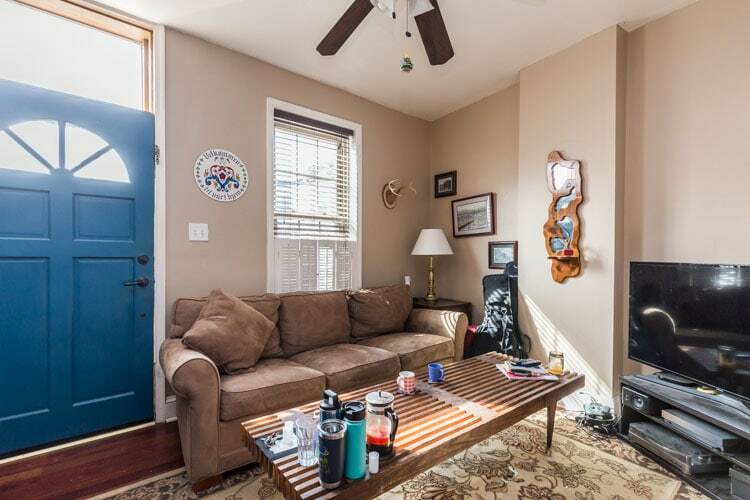 Enter into the sunny living room. 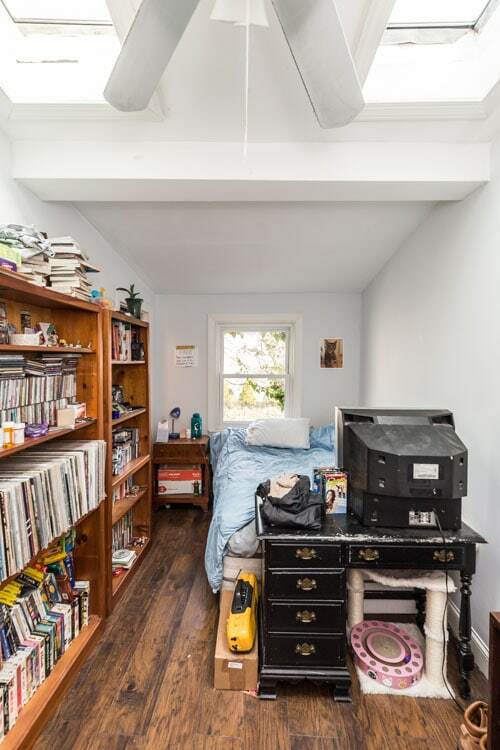 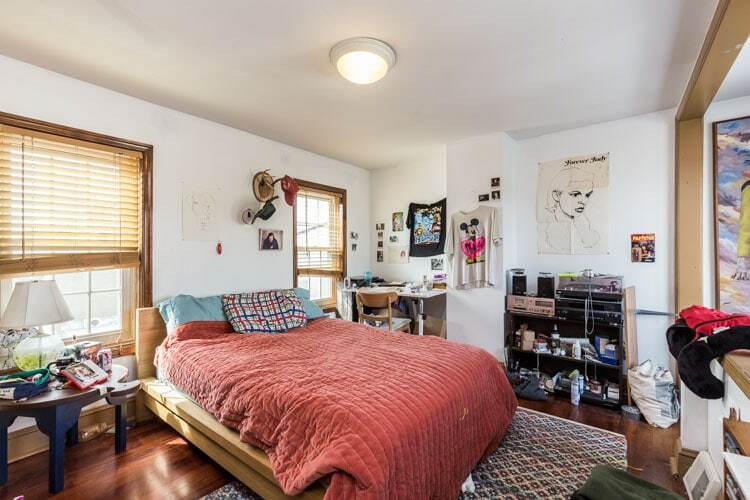 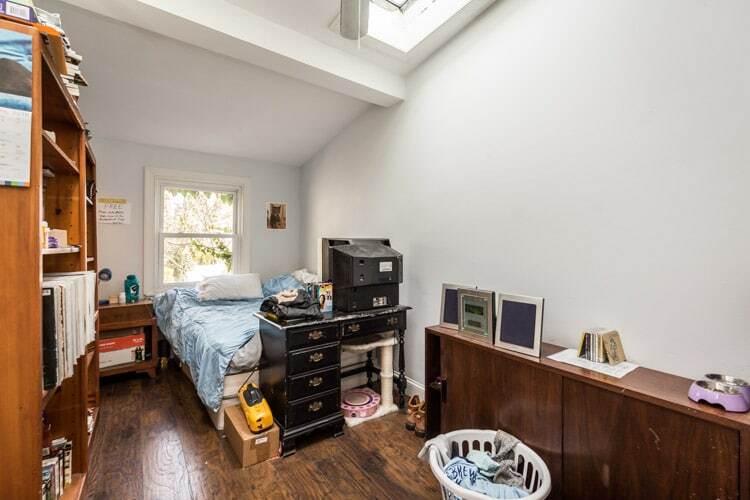 There are hardwood floors and a ceiling fan. 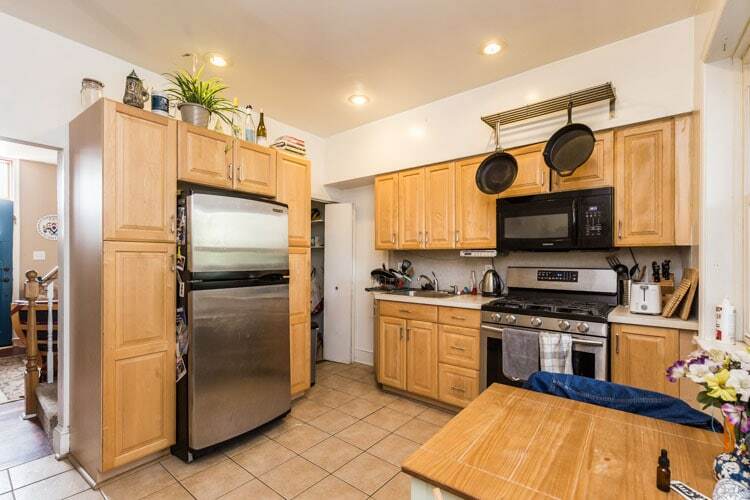 Continue back to the large eat in kitchen, with stainless steel appliance and tons of cabinet space. 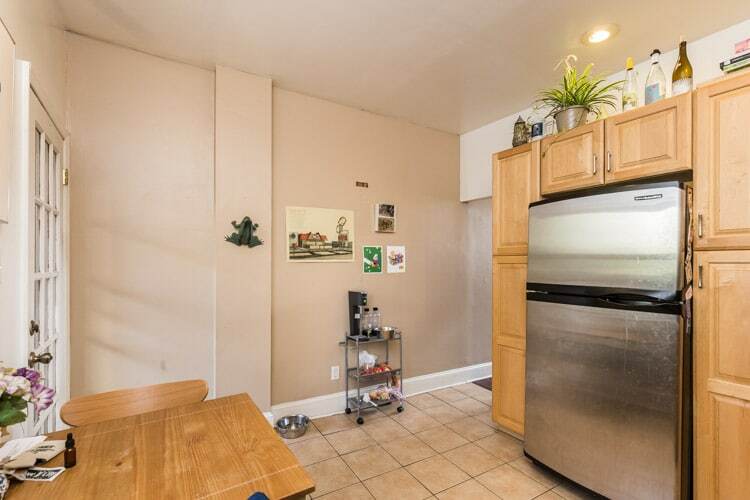 The kitchen comes equipped with a microwave and garbage disposal, and there’s tons of counter space with a bar separating the dining area. 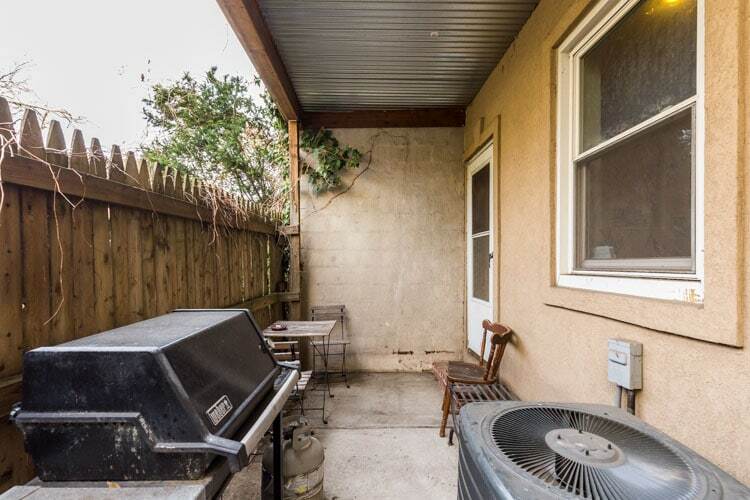 There’s a patio off the kitchen, perfect for BBQ’ing. 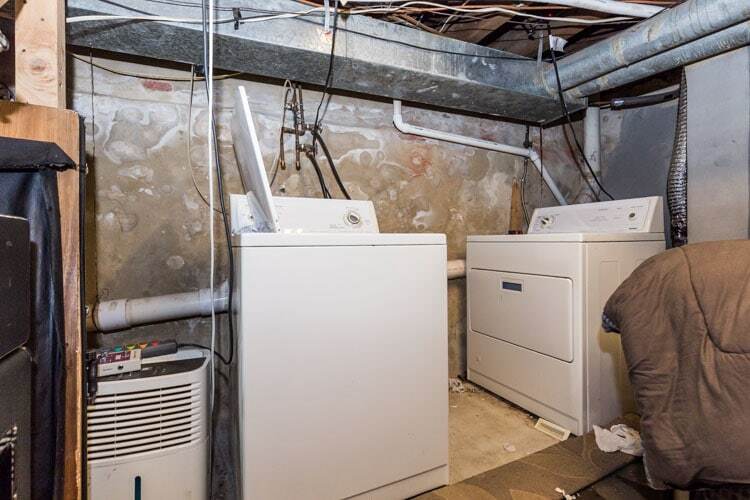 The washer and dryer are in the basement, along with additional storage space. 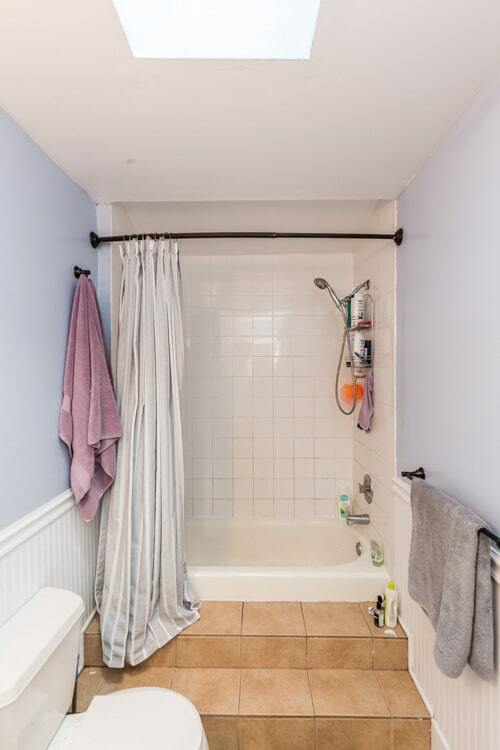 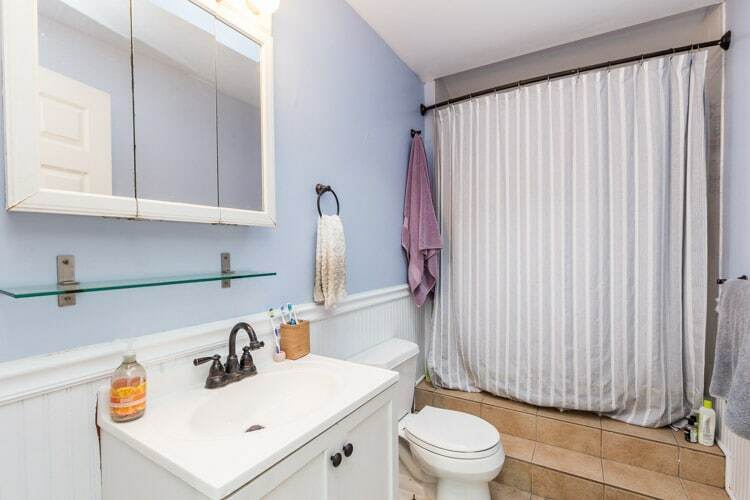 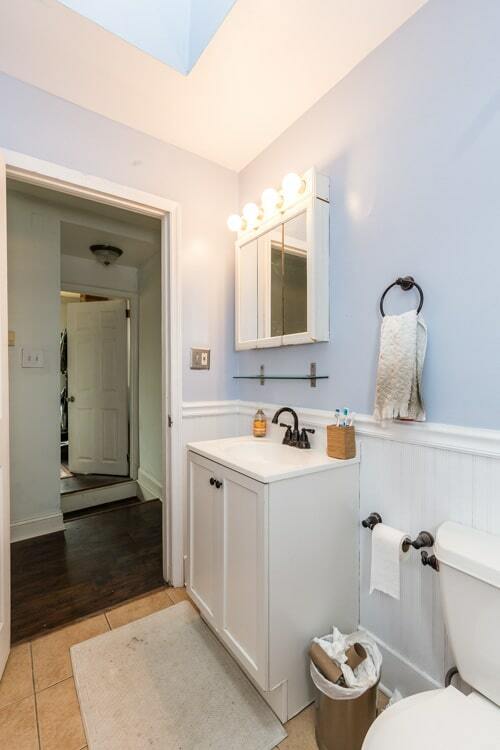 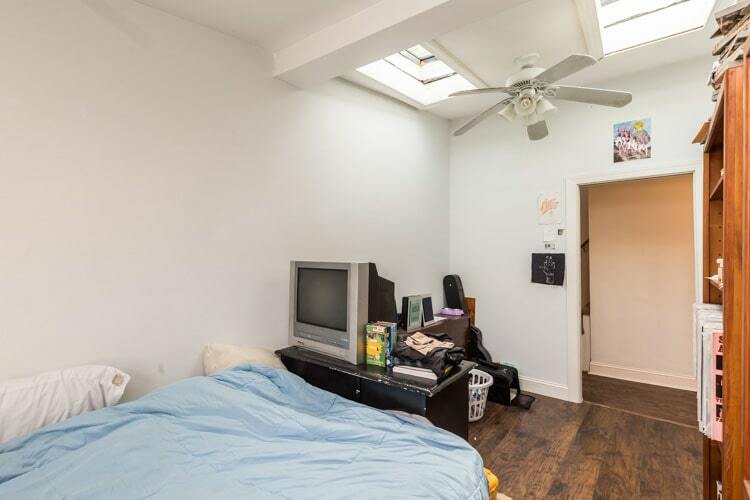 The second floor features two bedrooms and a full bathroom with a skylight. 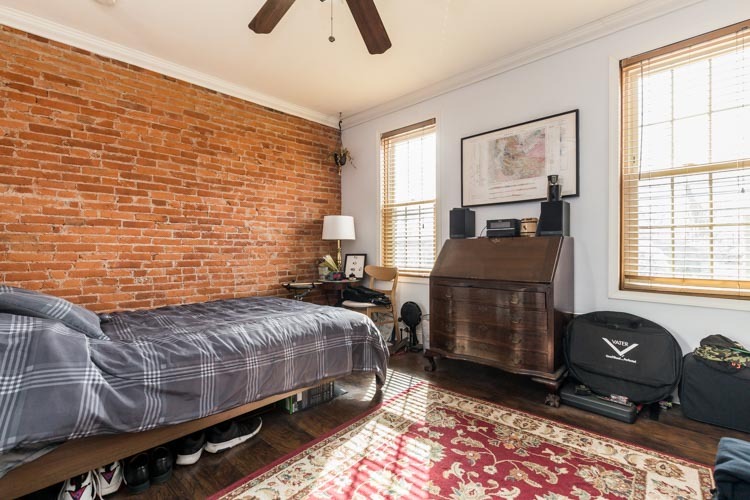 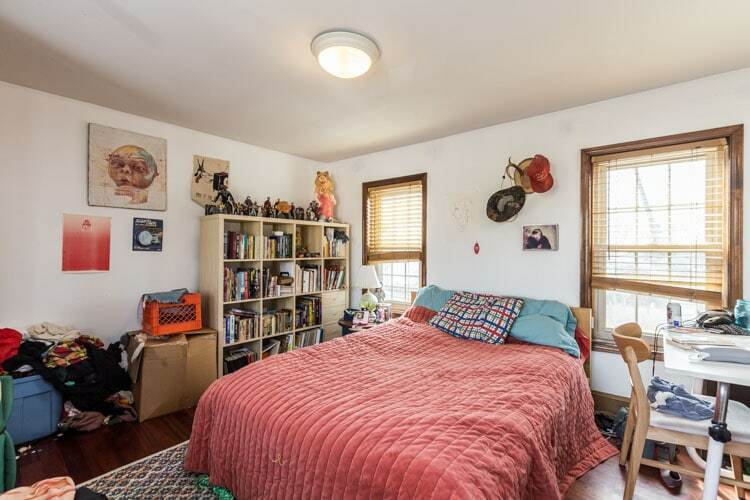 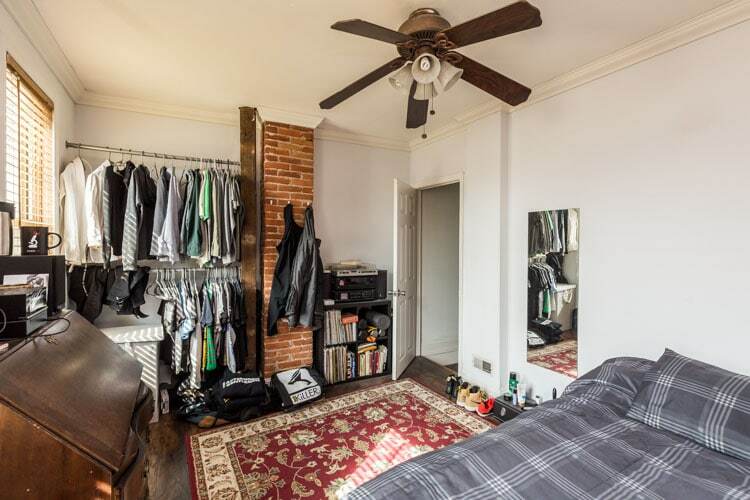 The front bedroom is large with exposed brick and the second bedroom features skylights and a large closet. 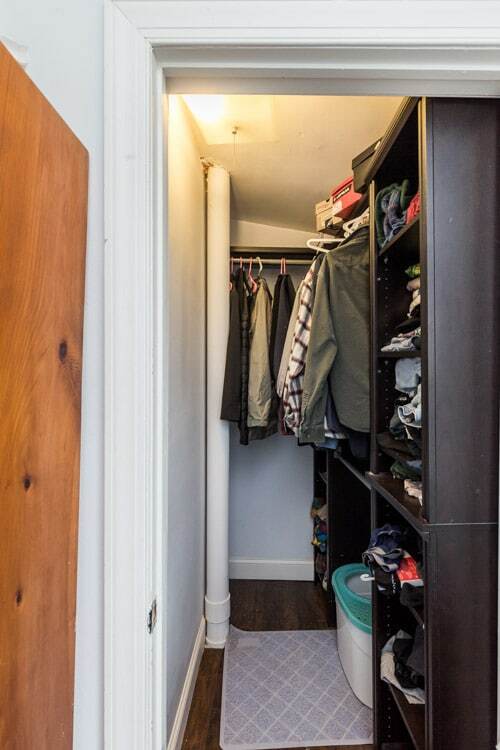 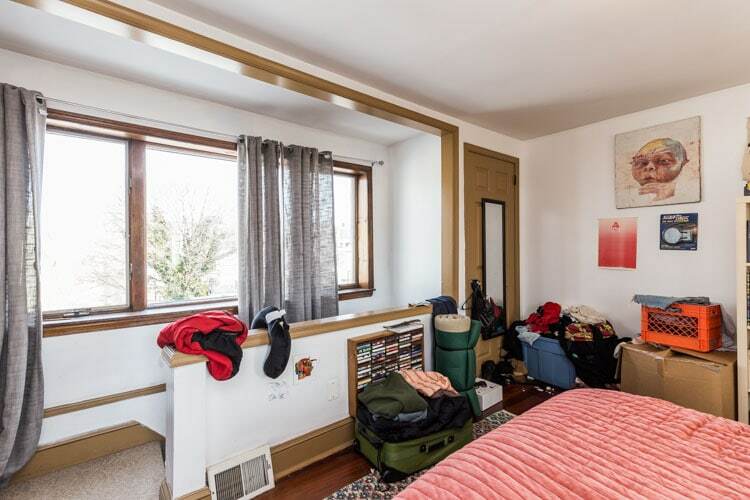 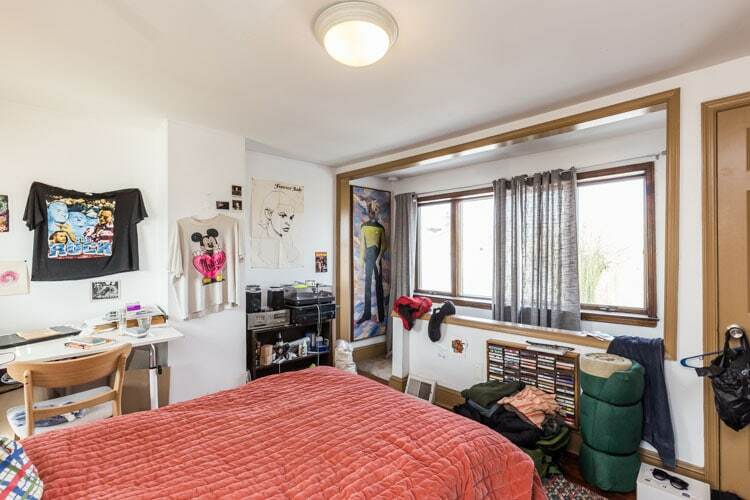 The third floor features a loft-style third bedroom with a large picture window and closet.